In the 1st century AD, while his flock was suffering from the sadistic persecutions of the Roman Emperor Nero, the second pope, Linus, put as his top priority, at least as far as we have records of, ladies’ hair. Little is known of Linus, and in fact some accounts dispute that he was even the second pope. 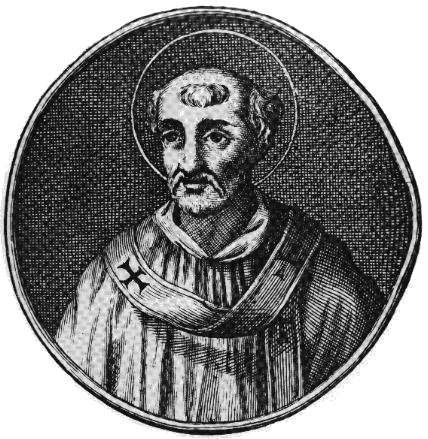 Tertullian claimed in his De praescriptione that St. Clement succeeded Peter as the second pope. According to most sources, this was a dangerous time to be a Christian in Rome. On July 19, 64 AD, fire broke out and raged for the next six days. Although the extent of the damage has been disputed (see Did Nero Really Fiddle While Rome Burned? ), when it was finally contained, several districts of Rome were destroyed, along with the hearth of the Vestal Virgins, the Temple of Jupiter Stator and the Atrium Vestae. Needless to say, the Roman people were not happy and were looking for someone to blame. Some at the time blamed Nero. Tacitus wrote that “appearances suggested that Nero was seeking the glory of founding a new capital,” and that he leveled most of the city to make room for new construction. This conspiracy theory doesn’t really line up with what we know of the situation (again see: Did Nero Fiddle When Rome Burned? ), but it is known that after the fire, Nero built a a mansion on some of the cleared land, as well as a beautiful landscaped park with a man-made lake, and populated the area with majestic villas and pavilions. It should come as no surprise that this gave the rumor that he’d set the fire even more legs. To deflect the charge that he started the fire, Nero publicly claimed that a newly-formed religious sect, the Christians, set the fire. To punish these terrible arsonists, Nero fed them to the lions, crucified them, clothed them in animal hides to be hunted and attacked by vicious dogs, and used them as human torches to light his garden parties… Charming. At about this time, Linus took the papal throne. The Liberian Catalogue states that his reign was from 56 to 67 AD, while the Catholic Encyclopedia puts the period from 67-76 AD. Whatever the case, he was in charge while terrible things were being done to his people. So what ever happened to St. Linus? Along with many other Christians of his era, it appears he was martyred on September 23, presumably in 76 AD; however, as with nearly everything concerning Christians of this time period, even Linus’ martyrdom is in dispute. While the Roman Canon places him as an early martyr of the primitive church, along with Pope St. Clement I and Pope St. Anacletus, other historians note there is no direct evidence of this. Regardless, the test of time proved that Linus’ women’s heads decree was popular. In fact, as late as 1917 (while all of Europe was embroiled in The Great War), Catholic leaders issued an updated Code of Canon Law that instructed men to remain bareheaded but women to cover their heads when they assisted at mass. Today, women are still expected to cover their heads when they assist with an Extraordinary Form Mass, but not with a Mass of the Ordinary Form. However, being more enlightened, after 2000 years, now if a woman participates in a Holy Mass of the Extraordinary Form without a veil, the church will not consider this faux pas a sin. A lot of writing to make a thinly veiled attempt to attack the early Church. A real yawner.